Comment: Anderson bay window exterior vinyl vertical trim cracked from soccer ball, replacement needed. Comment: When it rains heavy rain comes through the screen framing of window and puddles in-between window screen and glass. Comment: Install floor to ceiling spindle and half spindle with 42" long chair rail, 4 or 5 balusters, floor board trim, and some miscellaneous wood trim. Comment: I had new hardwood floors installed throughout the house and discarded the old baseboards due to their condition. In the process of installing new baseboards I have run out of time and energy to finish. 3 bedrooms with closets have not been started. Another bedroom is almost complete, its closet yet to be started. Some small areas in the great room remain to be finished. I should have all or most of the boards needed remaining and already painted--but might have to purchase a couple more if I did the math wrong. I am using actual wood boards, not MDF. I have a miter saw (no table, however), I have remaining white paint and caulk. Some sections of the floor are not completely level and may require the baseboards to be cut/sanded to match the unevenness. Quick Fix Home Repair, Inc.
Belleville Carpenters are rated 4.86 out of 5 based on 354 reviews of 11 pros. 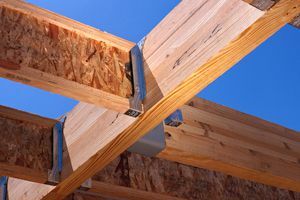 Not Looking for Carpenters Contractors in Belleville, IL?